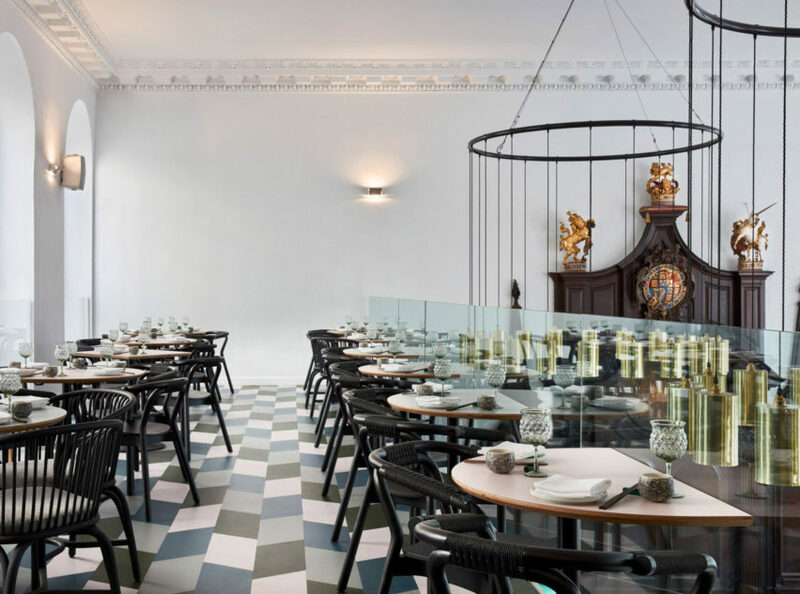 Our review of 2018 continues with editorial assistant Bridget Cogley's pick of restaurants and bars, including a dim sum spot in Hong Kong, a Chinese restaurant in a London church, and Noma's new outpost in Copenhagen. 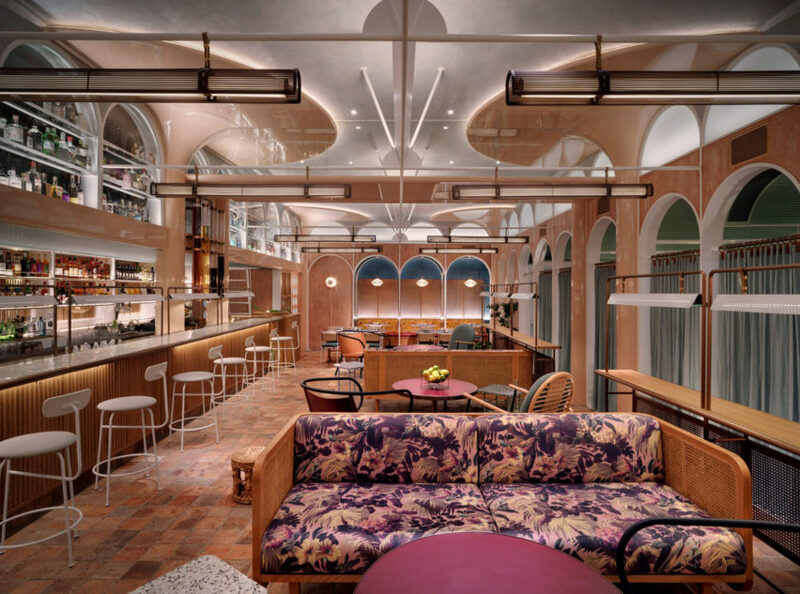 John Anthony dim sum restaurant in Hong Kong, designed by local studio Linehouse, blends elements evocative of a Chinese canteen alongside references to the British empire. 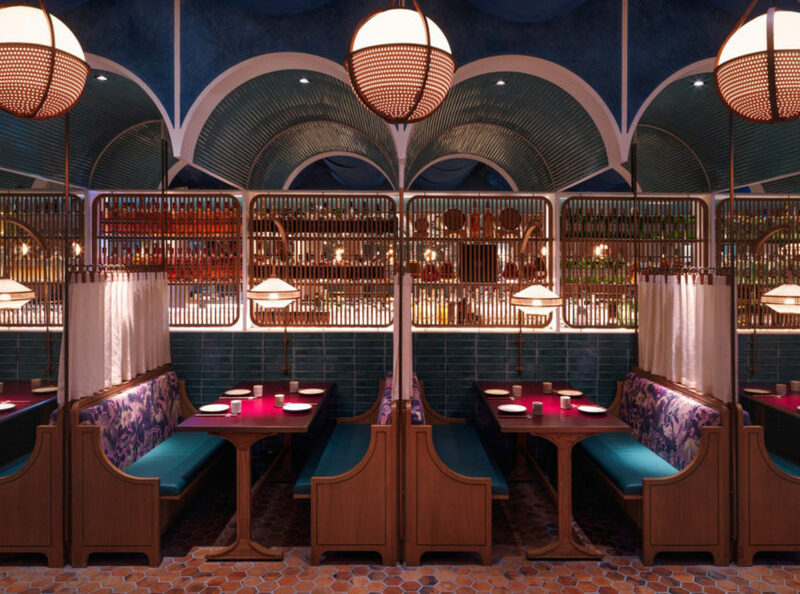 Arched ceilings are covered in pink and green tiles, with various florals prints and pops of blue, purple and mustard to create the elaborate interiors. 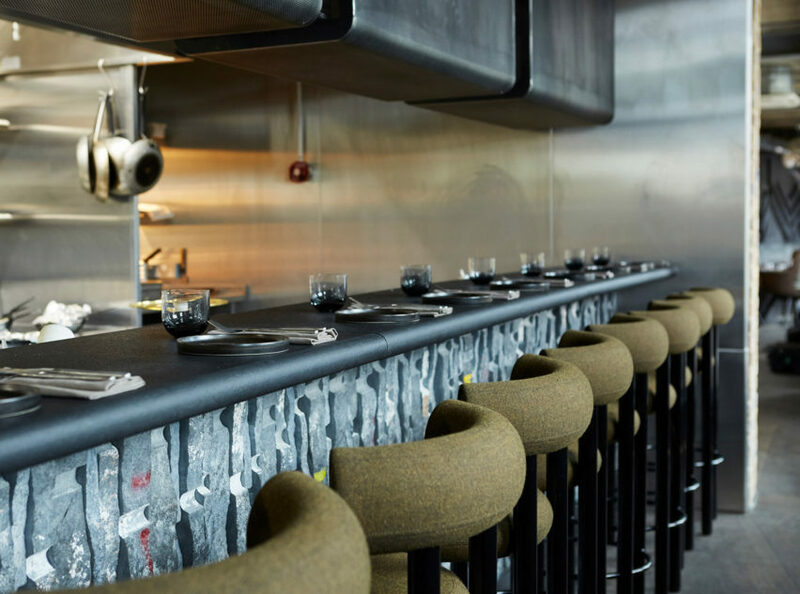 Copenhagen's two-Michelin-starred restaurant Noma opened in a new location: an ex-military warehouse barrack in Christiania. 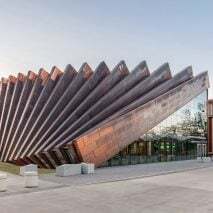 Architecture firm BIG completed the preservation work on the building, while Studio David Thulstrup was responsible for the wood, brick and glass interiors, as well as bespoke furniture. 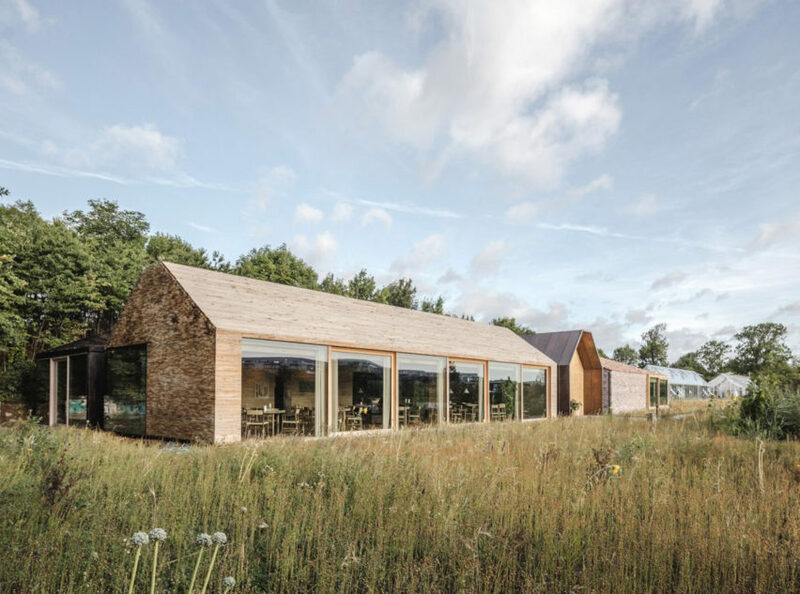 "The organisation of Noma 2.0 finds inspiration in the traditional Nordic farm typology, the sæter – a loose cluster of individual buildings housing individual functions, spread across the landscape," said BIG. 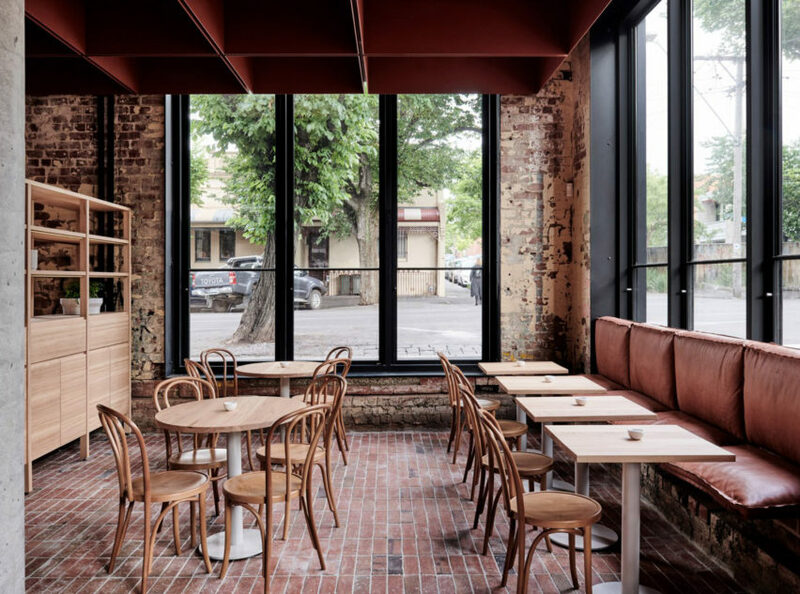 Bentwood chairs, light wood tables, brick floors and burnt red walls characterise Bentwood cafe in Melbourne by Australian studio Ritz & Ghougassian. 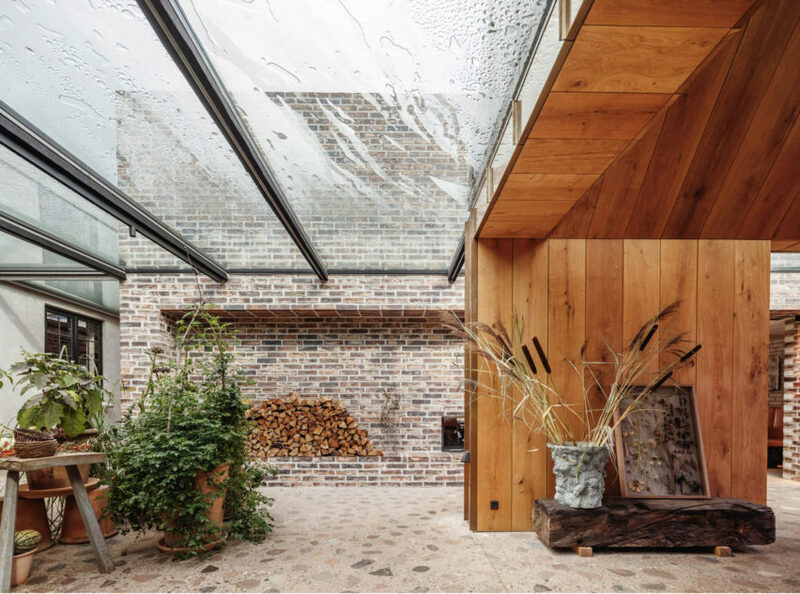 The firm drew inspiration from the site's brick exterior to create a space that felt cosy, while utilising its rustic charm. 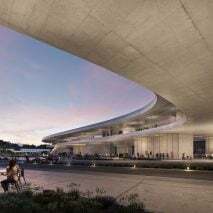 A handful of chunky concrete columns break up the open-plan space, and a wall clad in red steel features perforated sections that provide glimpses into the kitchen. 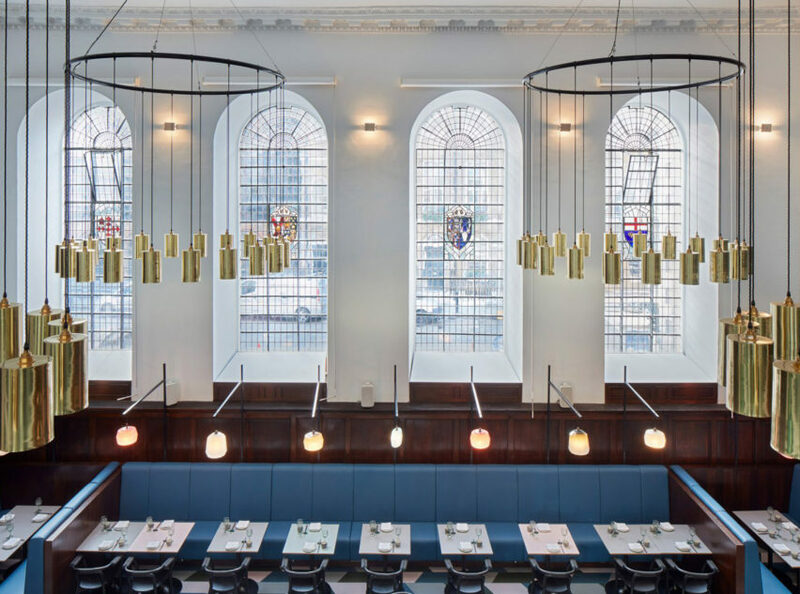 London firm Michaelis Boyd transformed a Grade II-listed church in London into a Chinese restaurant, preserving a dark wood altar as the focal point. 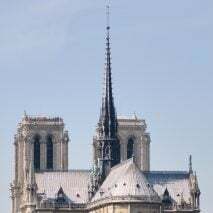 A combination of emerald green, blue, black, and white colours help to fuse old-world charm with contemporary details. 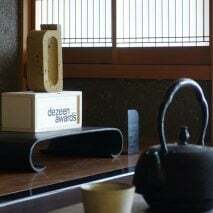 Duddell's is located in Southwark and is the second location for the Hong Kong-based restaurant branch. 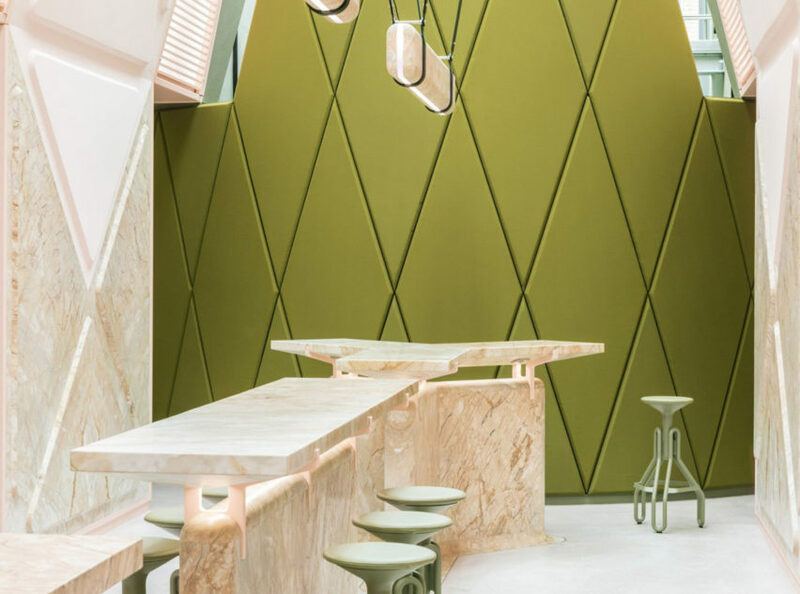 A green hue akin to split-pea soup is a key feature in XYZ Lounge in Ghent, Belgium, by French practice Didier Faustino. 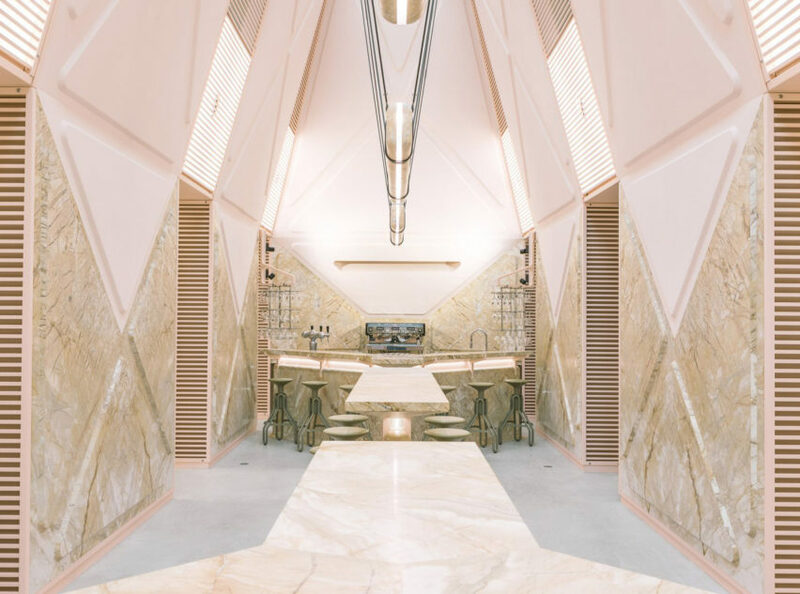 The verdant colour is offset with pale pink, veiny marble and white surfaces. 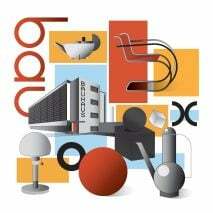 For the main bar area, a set of chunky Y-shaped tables are surrounded by three-legged barstools. 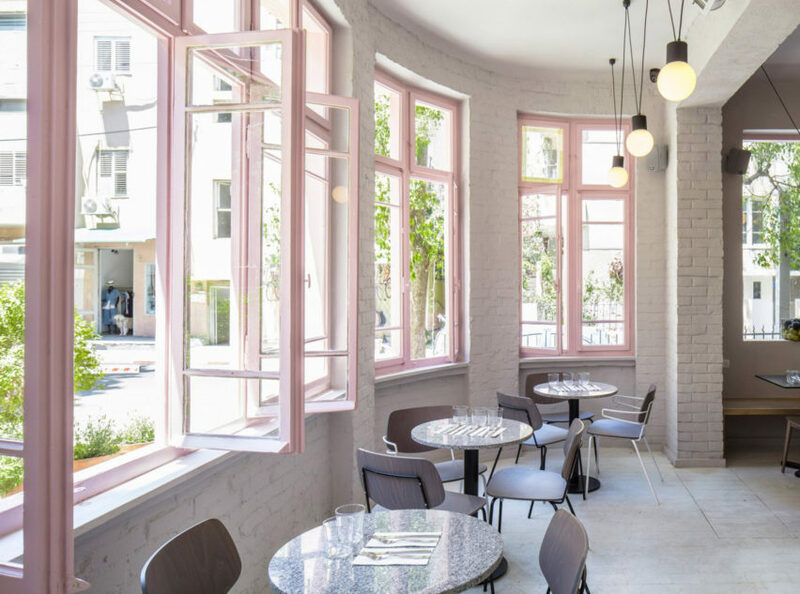 Ukranian designers Lera Brumina and Artem Trigubchak created spunky interiors with plenty of pink for Breadway bakery and cafe in Odessa. 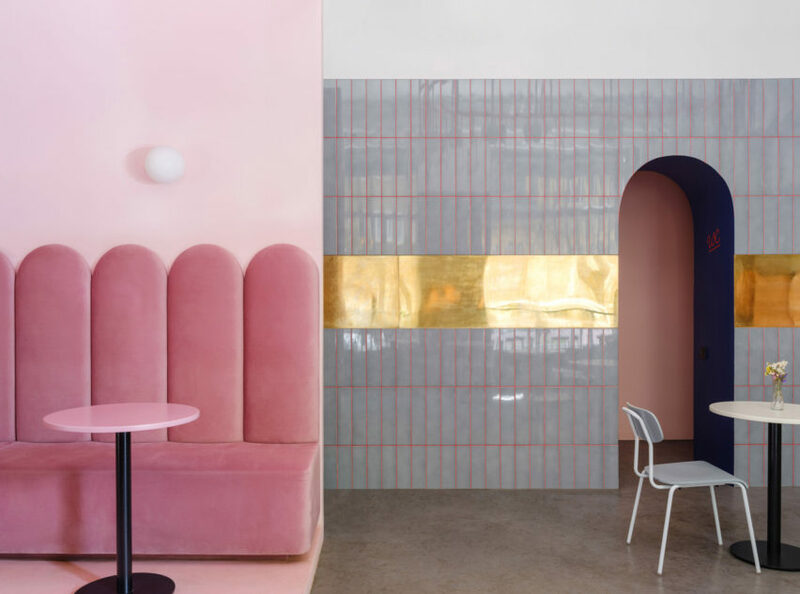 Upholstered seating has high, scalloped backs; a dining area features silver tiled walls; and a takeaway counter is painted peach and cobalt. 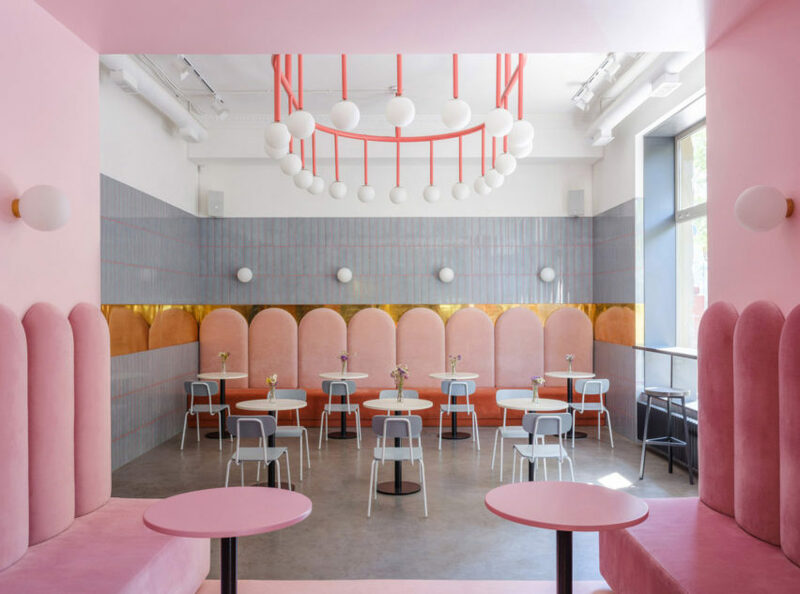 "The colour concept is based on the cold shades of pink-blue and grey, which emphasise the warm colour of bread," Trigubchak told Dezeen. 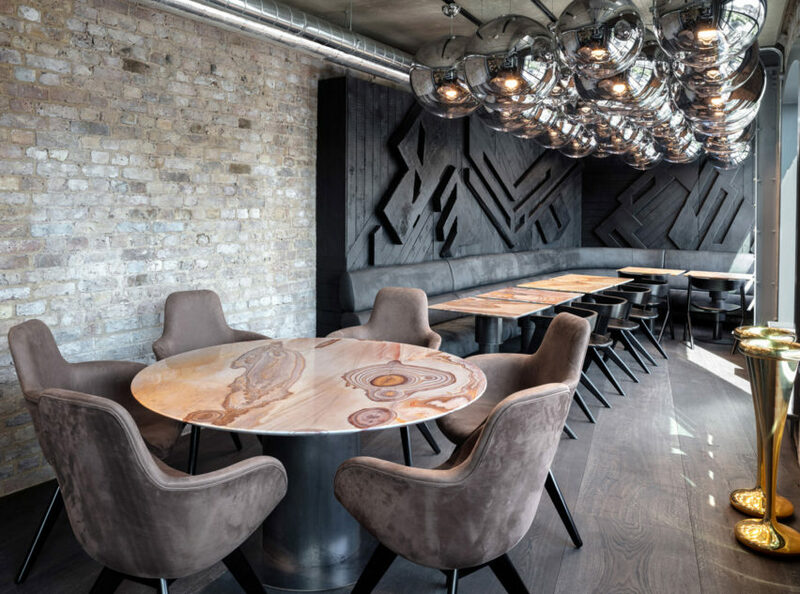 British designer Tom Dixon created a three-storey restaurant called The Coal Office close to his studio's new offices, flagship store and showroom in London. 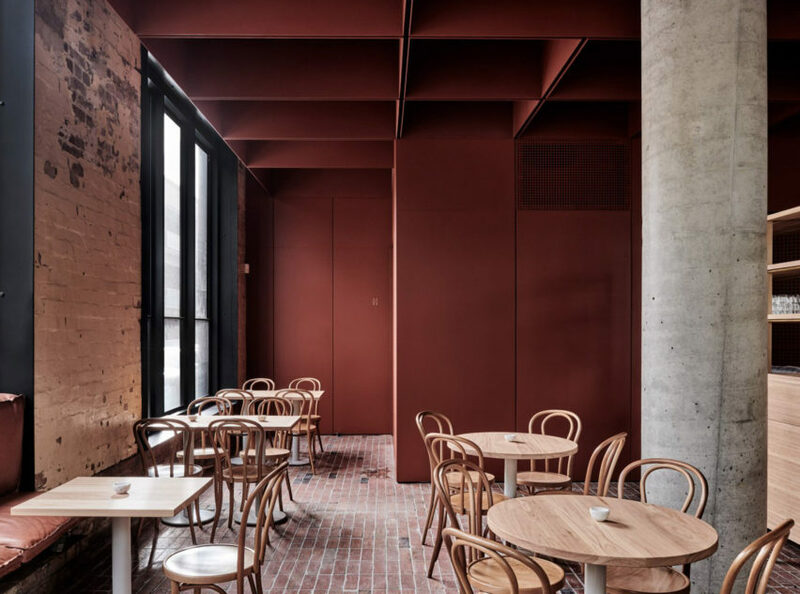 Based within former coal yard offices, hence the name, the restaurant features a soot-hued palette paired with many of Dixon's own designs. 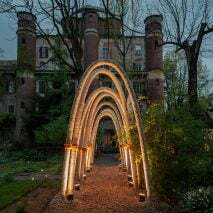 On the ground floor are 19th-century brick arches, with timber walls and ash-grey furnishings on the first level and more steel and glass above. 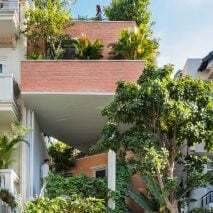 A vegan cafe in Tel Aviv has found its home on the ground floor of a white, modernist apartment building – typical of many in the Israeli city. 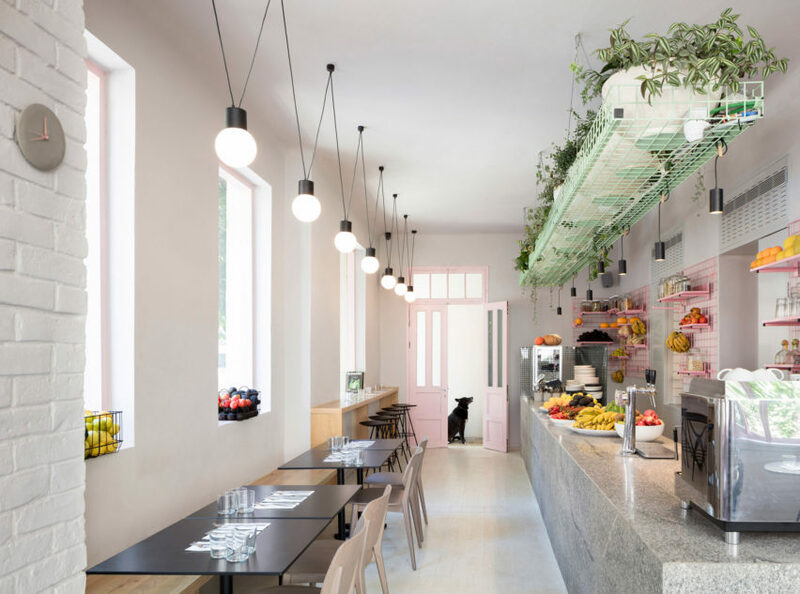 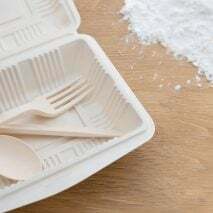 Local firm Amit Studio designed Bana around the restaurant's bountiful ingredients, and against a subdued palette of white, black, concrete and wood. 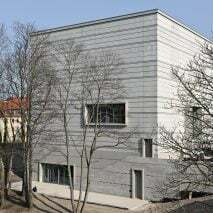 Pale pink window casings and matching storage racks complete the interiors. 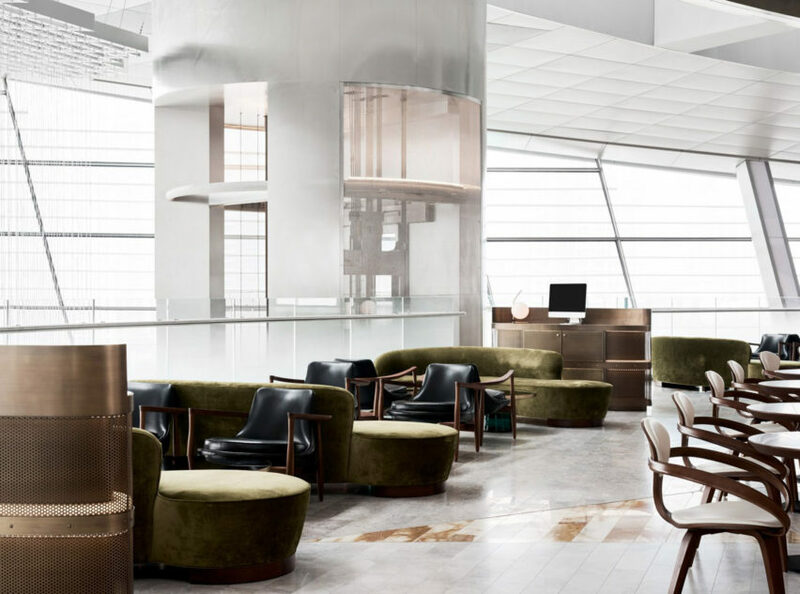 Grey, blush, brass and dark wood combine at Sean Connolly in Dubai, located on the top floor of the city's opera house. 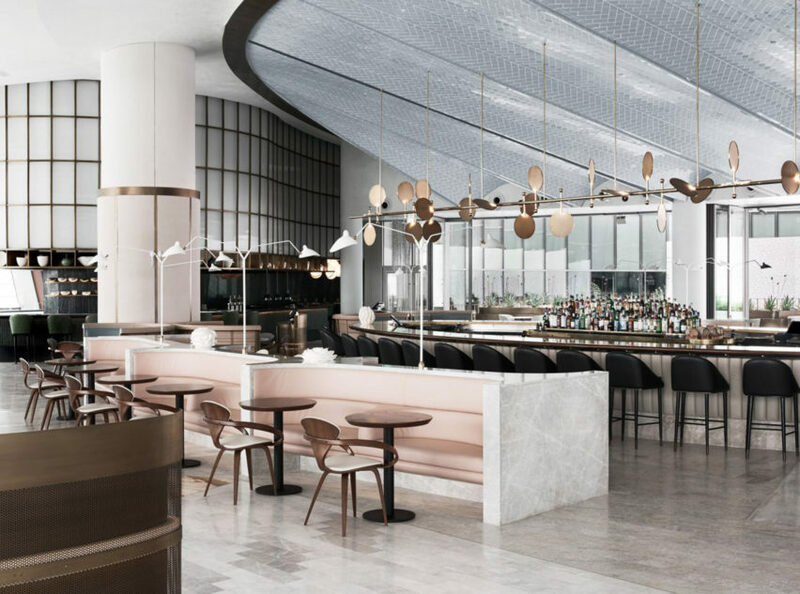 Crafted by Australian studios Alexander & Co and Tribe Studio, the spacious eatery features various seating areas, including four bars, a brasserie, a private dining room and a chef's table. 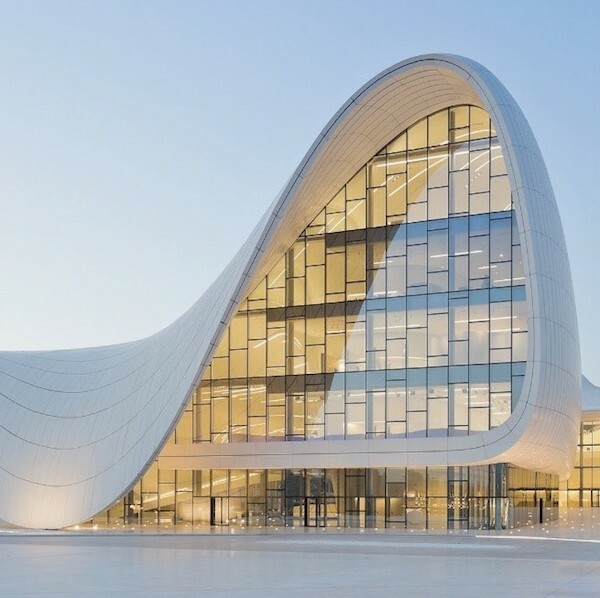 Rounded designs and moments of marble and steel take cues to modernism, with references to the wing-shaped concrete roof of Eero Saarinen's TWA Terminal at New York City's JFK airport and shell geometries at the Sydney Opera House. 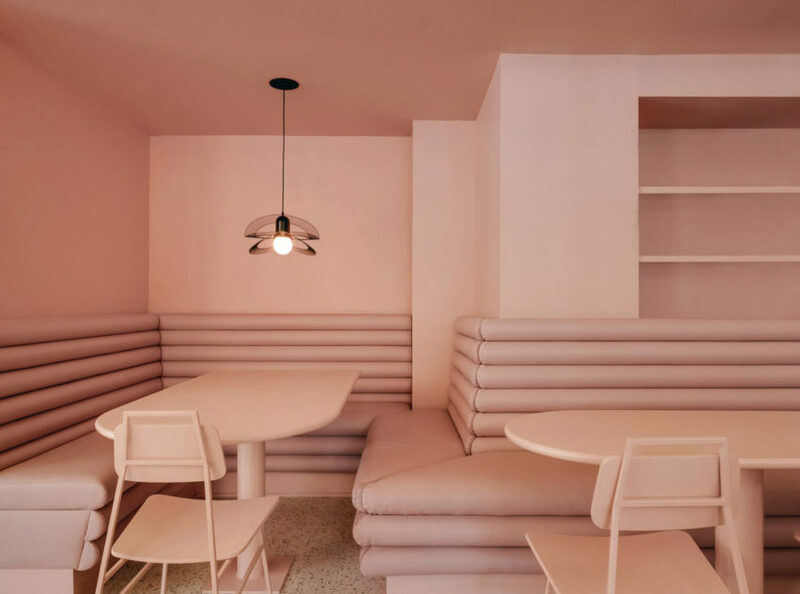 Pastel Rita is a bar, boutique, restaurant and artist workshop in Montreal's creative Mile End neighbourhood. 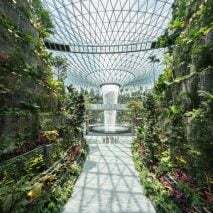 Local firm Appareil Architecture designed the project with gold, pink and green colours to demarcate the different areas inside. 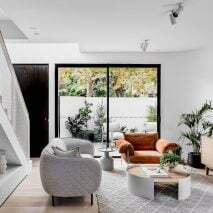 A corridor runs through the centre of the project in a lustrous yellow, with a dark green cafe on one side and an all-pink seating nook in the rear.